Did you join in last week? I hope so! There are lovely prizes , a fun anything goes challenge and best of all, a beautiful free bible verse and a sweet devotion! Click over to Word Art Wednesday to join the fun! This is actually a washed out photo/still form a movie called the life of Jesus. I have digitally mounted this on a lovely paper and created this so that you can print one for yourself! I had every intention of printing everything and assembling, but that will have to wait till I fix a printer issue! 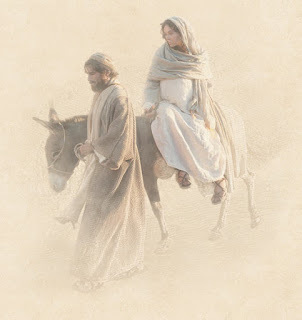 I love this image, I Love the story of Mary and Josef, against all the odds of the times they lived in, they held fast their commitment to each other and to God. They Lived, loved and fulfilled the plan of God for their lives. I hope you are enjoying the Holiday season, thank you for taking time from your busy day to stop by! This is simply beautiful, Ginny! 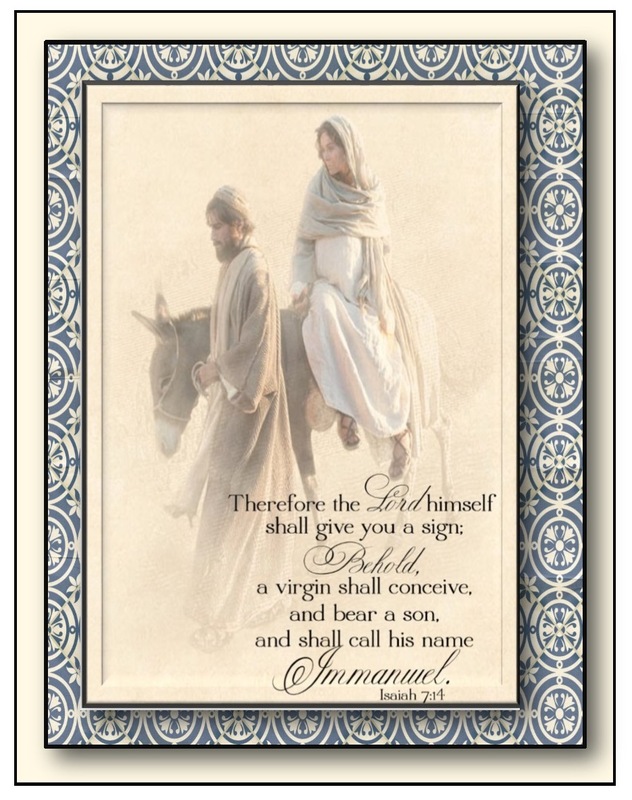 I too am in love with the story of all that Mary and Joseph went through and your card is a perfect combination of imagery and scripture!! Thanks so much for letting me join you this month as one of the guest designers! What a blessing! Brilliant work Ginny lovely image and beautifully overlaying the verse like that well done! Beautiful image and wonderful card Ginny. Aren't Mary and Joseph amazing when you consider their obedience to God in the face of hostility from society and Herod. Gorgeous card! So soft and appropriate to the theme. I just love this beautiful card! Wonderfully done! I opened a gorgeous card and bookmark today/OSA- Thank You! I'll post it tomorrow.